So I'm heading back to Jakarta at the end of summer and I just can't wait! Nothing beats the comfy feeling of home obviously. 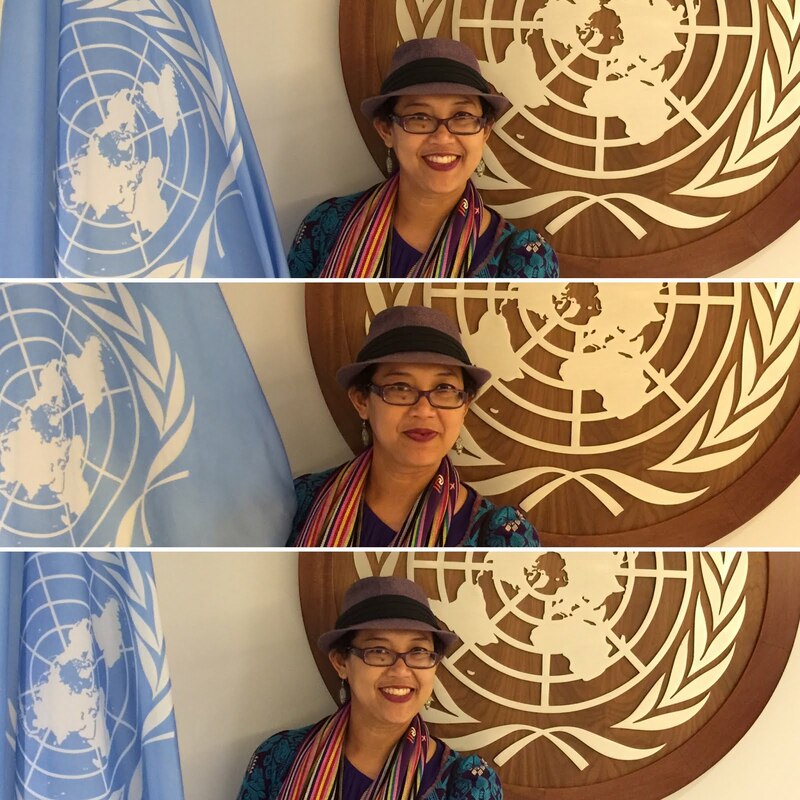 I love NYC for sure but my homeland is calling and I know we will be having great years ahead as we enjoyed our time in Jakarta for 3 years after finishing my assignment in Geneva, Switzerland. 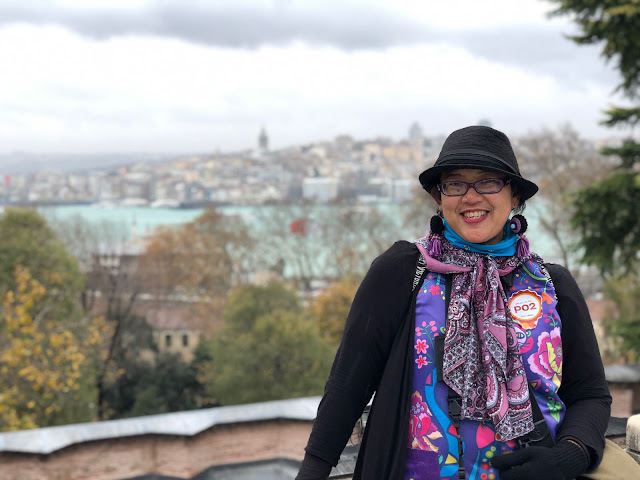 And as part of the warming up, I would love to take my dearest blogger friends to some little trip to Jakarta through my posts. A little walk down the memory lane and I know Jakarta has a lot to offer. So, I would like to start it with the Museum! Yes, the museum indeed, one of my favorite places to visit, wherever I am residing or traveling. 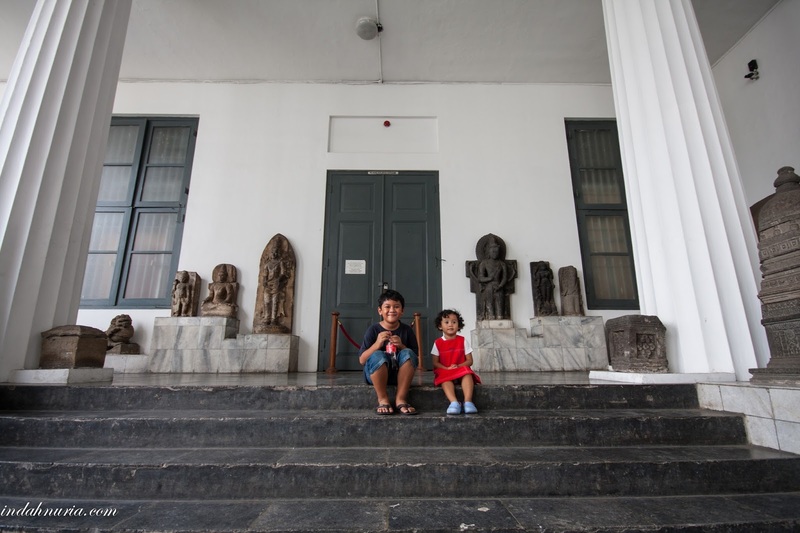 As NYC is packed with great museums, so is Jakarta! 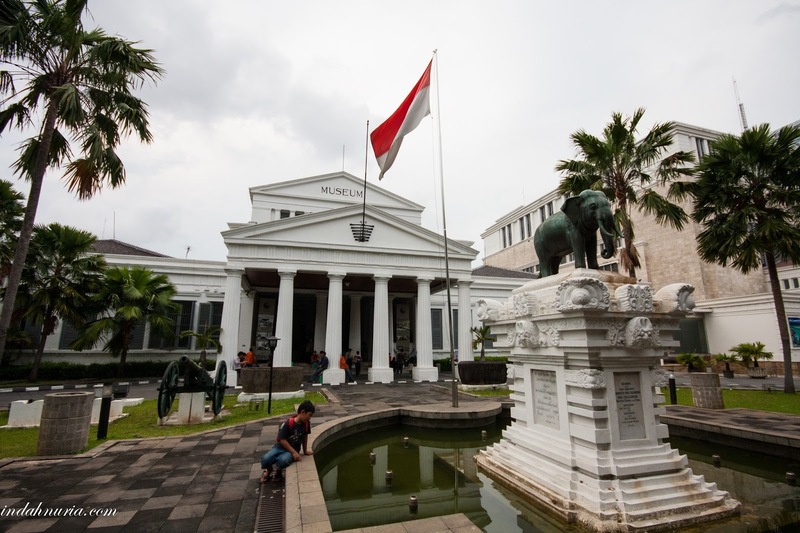 Do you know how many museums are there in Jakarta? Okay, I have to admit that I don't know the answer to that question until I google it LOL. There are 47 museums in our lovely capital city! And 47 is not a small number so I sincerely hope I can visit most if not all of them. Perhaps, visiting museums is not your cup of tea. Well, at least for some Indonesians, or Jakartans to be exact. There are so many huge shopping malls here packed with entertainment centers, shops and food courts that might be more interesting for some of us. If I said I was going to visit museums here in Jakarta, some friends might give me the what-are-going-to-do-there look. But for me and my family, a day trip to a museum will always be fascinating! We learn lot and have fun at the same time. Well, it depends on the museums we visited of course but wherever we go, we always try to visit one. As Bo and Obi are growing up, my hubby and I decided to have educational-yet-fun trip to several museums in Jakarta before we headed to NYC at that time. The kids were not that enthusiastic in the beginning but they did enjoy the trip at the end of the day. So, this story and photos are a little throwback from our trip in 2014. So now, let's start our journey from the National Museum of Indonesia. 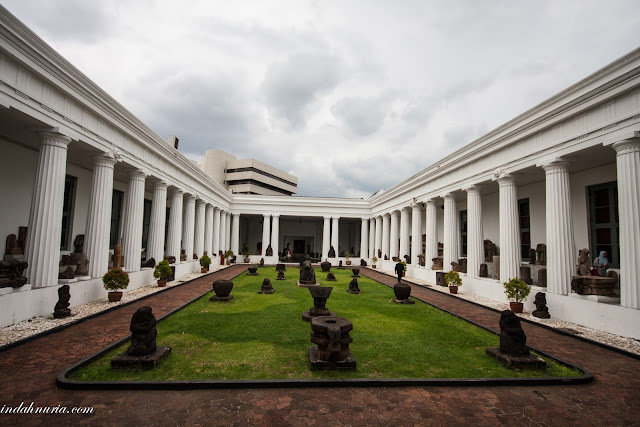 In Bahasa Indonesia, we call it Museum National Indonesia. 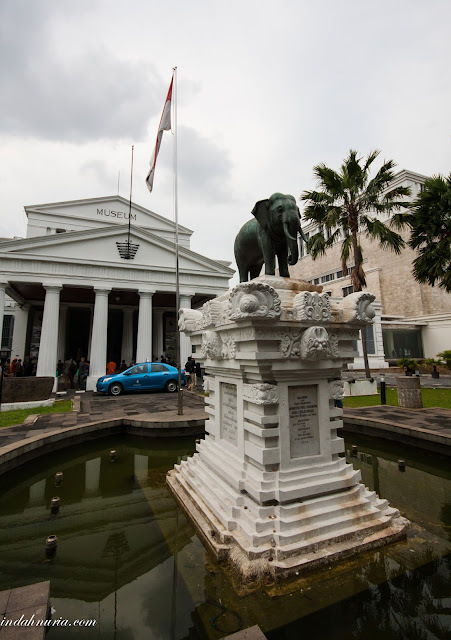 some might call it Museum Gajah or the Elephant Museum, because we have that little elephant statue in front of the Museum's building. 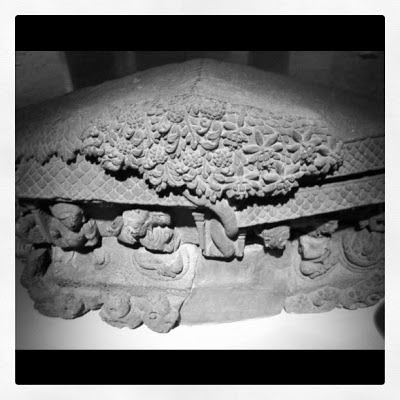 National Museum of Indonesia was originally started from Bataviaasch Genootschap van Kunsten en Wetenschappen. It was established in 24 April 1778, so it is more than 300 years now! As we were colonized by the Dutch for about 350 years, it's not surprising that many institutions, including this museum, was founded by them. What I like most about this Museum is the spacious place it has with various precious collections to enjoy. The National Museum is located at Jl. Medan Merdeka Barat no. 12, Jakarta Pusat. It has several floors displaying different collections ranging from archeology, ethnography, geography, ceramics, prehistorical items and more. The Museum is open from 8 - 4 PM on Tuesday to Friday, and 8 - 5 on Saturday and Sunday. It is close on Monday and holidays. 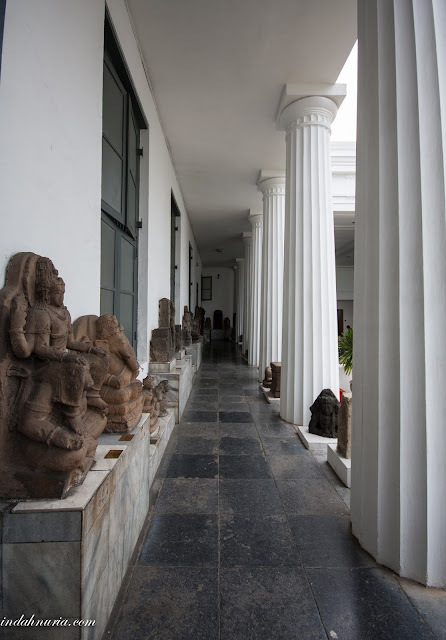 As you step into the Museum, the lovely ambiance and the high ceilings make the Museum feels grandeur. 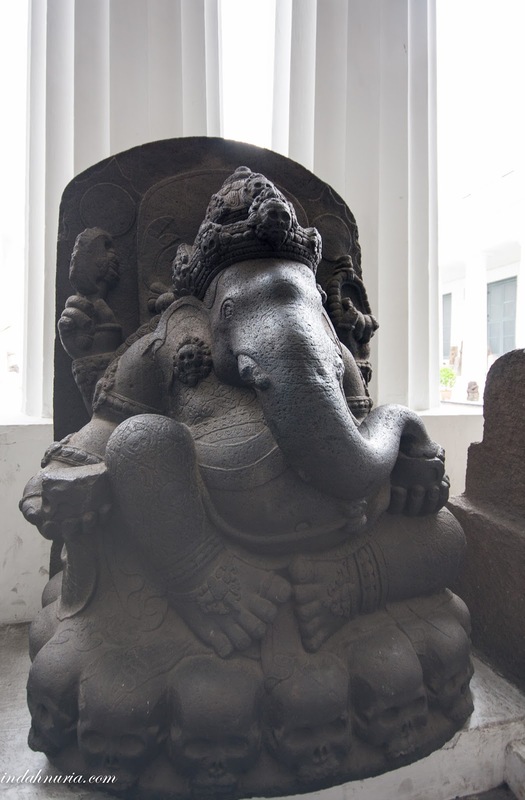 You can also enjoy some relics and statues from different temples and historic sites in Indonesia, particularly from Java. Some of them are placed on the alleys and open spaces. The collections are nicely displayed and well maintained as well, making it a pleasant place to visit for all ages, including the kids. Back in 2014, we only had to pay Rp 5.000,- (appr. 60 cent) for adults and Rp 2.000, (less than 30 cent ) for kids, while for foreign tourists, the ticket is Rp 10.000,- or approximately 80 cent. Very cheap, right! Up until now, the price is still the same. If you want to know more about Indonesia, come to the ethnography segment. 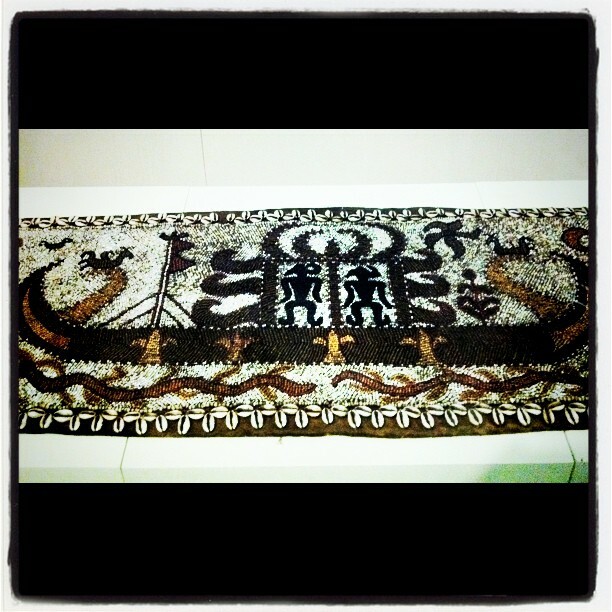 Some of the highlights of traditional and cultural heritage of Indonesia are displayed there. You can enjoy lovely, unique fabrics and traditional items used daily by hundreds of tribes from different parts of Indonesia. 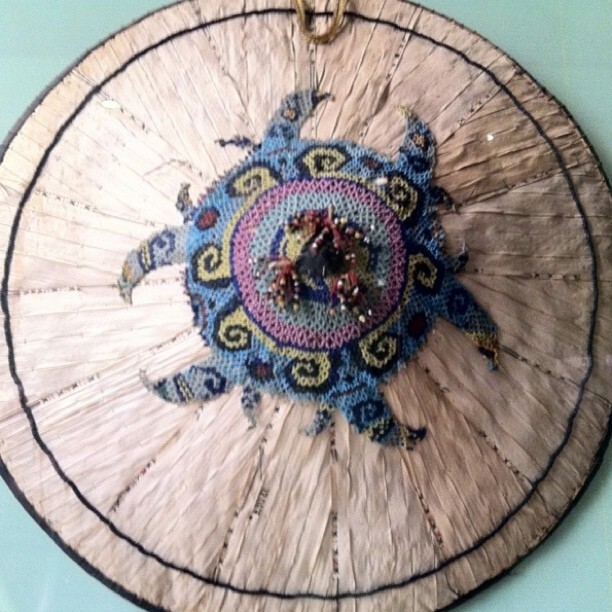 Traditional hat from West Kalimantan. Old and traditional utensils and homewares are ammonite the items being displayed. It is interesting to see the development of those items and the differences of their use in many parts of the country. Then see the famous story of Pithecantrophus Palaeojavanicus (I hope I got it right :D) and more pre-historic as well as archeological items. 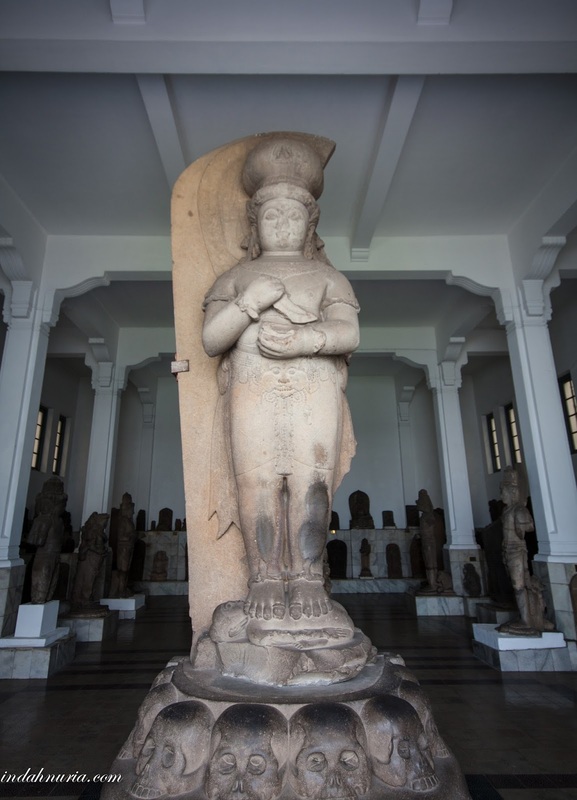 Not to mention fabulous statues, relics, inscriptions and so many more. If you haven't got a chance to travel around Indonesia, or planning to do so, a visit here will be a good warm-up indeed! I know that those displayed here are just a tiny fragment of the original collections, so you can imagine what we really have out there. I love the jewelleries collections on the fourth floor as well. Those fascinating designs, very meticulous! And thinking that they were made centuries ago. Here's the map of the exact place of this Museum. Well, all in all, we all truly enjoyed our visits and would love to go back there. Make sure you don't miss the National Museum of Indonesia in Jakarta when you are around. What a lovely museum. I would LOVE to visit there someday! It's so great to see your kids so young. They do grow up fast for sure. Wow, 47 museums in town. I only ever be in Museum Gajah while in Jakarta. I hope someday can travel to Jakarta and enjoy other museums. Aku pernah ke sini jaman kuliah dulu mba, jalan-jalan setelah kelar bikin campaign. Museumnya baguss. 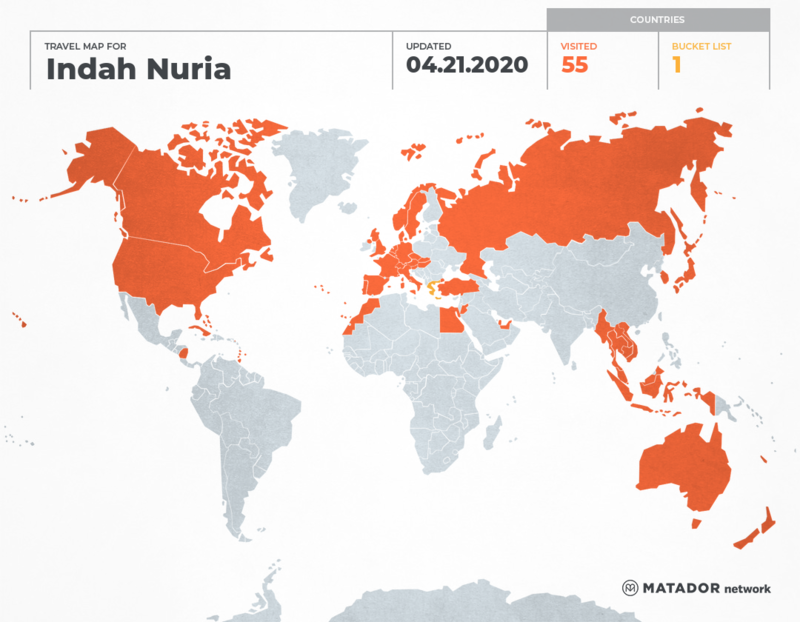 Hmm jadi mau nge-list udah berapa museum dari 47 itu yang saya kunjungi. 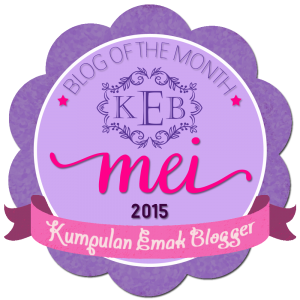 Next time coba main ke Museum Polri di dekat Blok M. Ada kids corner supaya Bo dan Obi ga bosan. 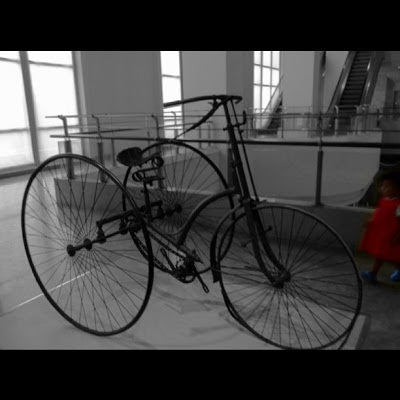 Belum pernah..ke museum..dulu pernah 3 tahun di JKT..tapi kok gak kepikiran jalan2 ke museum..
Penasaran banget sama sejarah Indonesia. Kalau diurut, kita mesti ke museum yang mana dulu niih..? Hiihi...kalau guide nya pasti jadi tahu yaa..
See you in Jakarta and Lampung, Mama Bo!